Eczema. 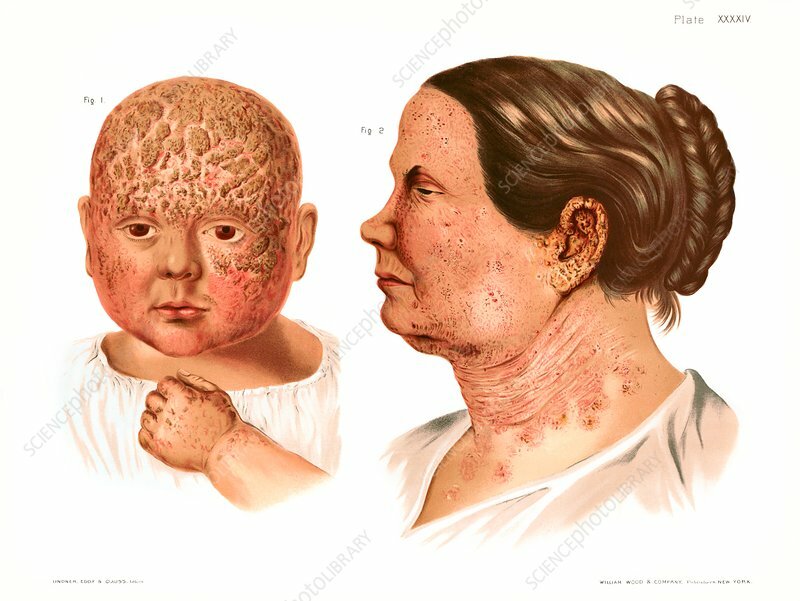 Historical medical illustration of cases of eczema in a baby and in an adult female patient. Eczema is a superficial skin inflammation characterised by an itchy rash and small blisters that weep and become crusted. From Atlas of Venereal and Skin Diseases by Prince Albert Morrow, published in 1889.